Unleash your innate healing potential. This potential exists inside all of us, but often gets suppressed by modern day life. Acupuncture, cupping, and Chinese medicine help support you in this process. Call today to find out more, 541.330.8283. Cupping is used to relieve back and neck pains, stiff muscles, anxiety, fatigue, migraines, rheumatism, and even cellulite. Chinese herbal medicine formulae support and further the healing process with scientifically designed non-pharmaceutical medicine. At Alpine Acupuncture, LLC we use only GMP Certified ingredients. Our goal at Alpine Acupuncture, LLC is to work together with you to achieve your optimum health. We look forward to resolving your health concerns and providing for your health needs, emphasizing health maintenance and preventative care. Oriental Medicine, which includes Acupuncture and Moxibustion, Chinese Herbs, Tuina Massage, Qigong, and Chinese Dietary Coaching. 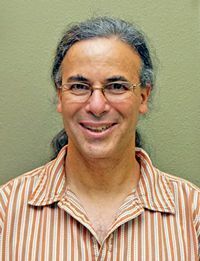 Steven A. Foster-Wexler, LAc received a Master of Acupuncture and Oriental Medicine degree from the Oregon College of Oriental Medicine. Steven’s acupuncture license is issued by the Oregon Medical Board and is certified by the National Commission for the Certification of Acupuncture and Oriental Medicine. Steven is also certified by the National Acupuncture Detoxification Association to treat chemically dependent drug and alcohol clients, and he is a certified Qigong instructor. In addition to maintaining a private practice in Bend, Steven worked for 12 years for Hospice of Redmond visiting patients at their residence and providing palliative care. Steven has been a part-time instructor at Central Oregon Community College where he taught for two years in the massage program as well as teaching Qigong classes through the Community Learning Program. Steven is a current member of the Oregon Association of Acupuncture and Oriental Medicine, the National Acupuncture Detoxification Association, the American Association of Acupuncture and Oriental Medicine, and Acupuncturists Without Borders. Everyone deserves optimal health. Alpine Acupuncture, LLC can help you achieve the vibrant health you’ve been seeking! Get relief from your ailments and freedom from your addictions. Let’s co-create your personal health and wellness plan. 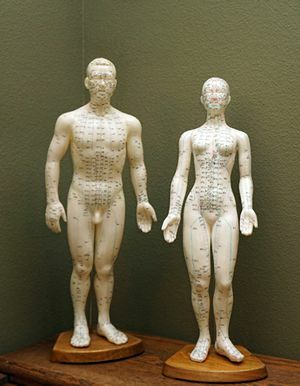 We provide Acupuncture, Cupping, Chinese Medicine, and QiGong to assist you in achieving your health goals.